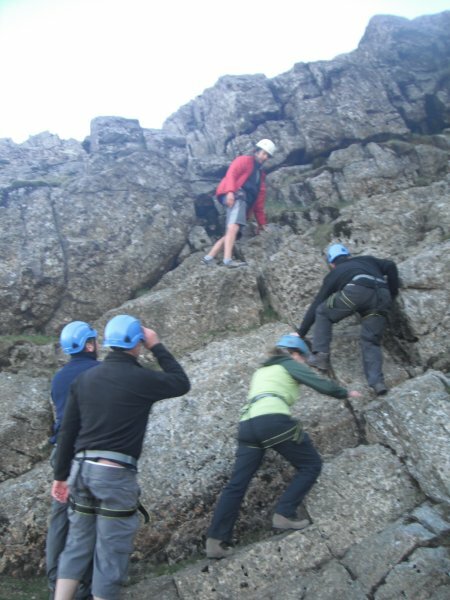 Below are 2 examples of unique adventure challenge events which we have designed and run in the past for corporate charity fundraising teams. A 70k non-stop endurance event. 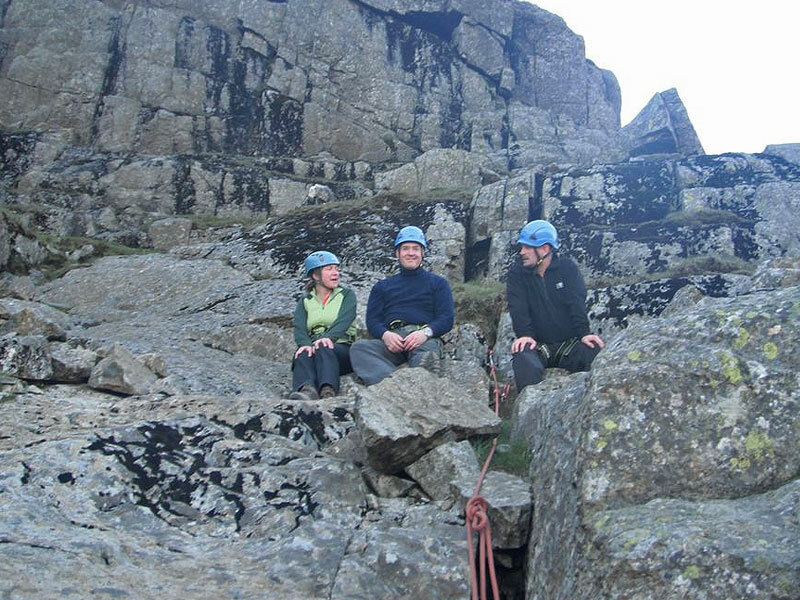 The route makes a crossing of the Lake District from South to North via its lakes, rivers and mountains and includes canoeing England’s longest lake and climbing its highest mountain. 32 k canoeing, 21 k cycling and 17 k mountaineering. 70 k total travelled. Estimated time to complete is ‘under 24 hours’. 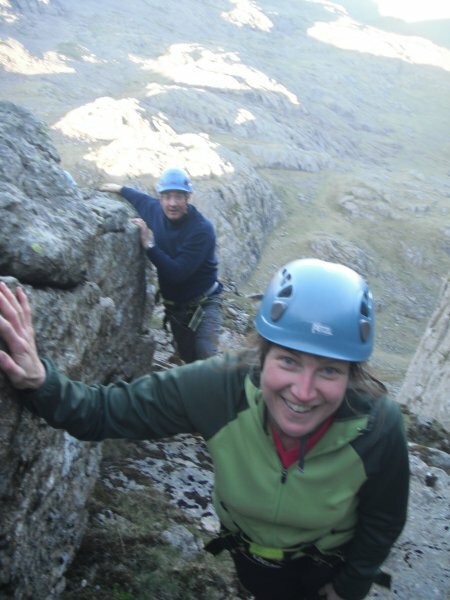 Our qualified and experienced local mountain leaders are with you all the way, and our support vehicle’s are on hand carrying your equipment, clothing and food. Groups typically stay in or near to Keswick the night before the challenge where a pre event brief takes place after everyone’s arrival. The next morning we aim to leave Keswick by 7 am. 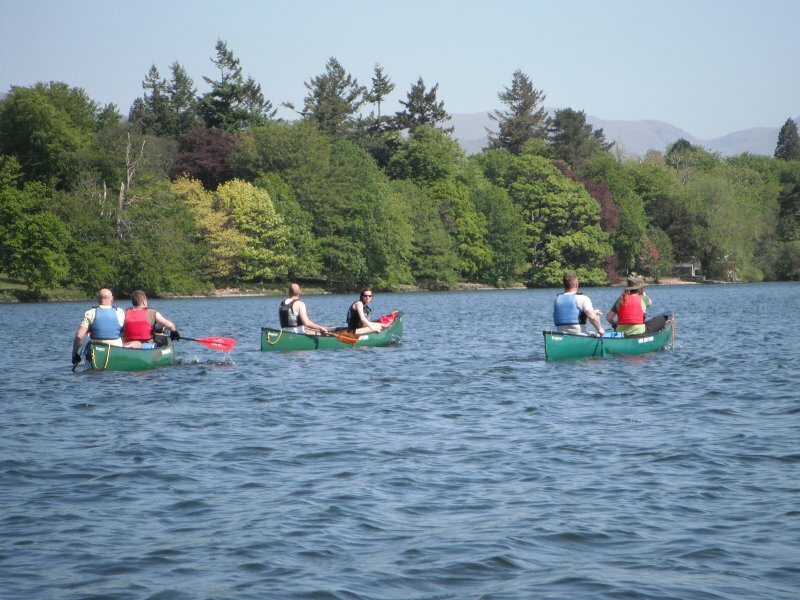 We travel to the start of the challenge at the Southern end of Windermere arriving between 8 and 8.30 we begin canoeing by 9 am. Windermere is England’s longest lake and we travel South to North finishing in Ambleside where we will be met by our support vehicle. 17k, 5.5 hours. 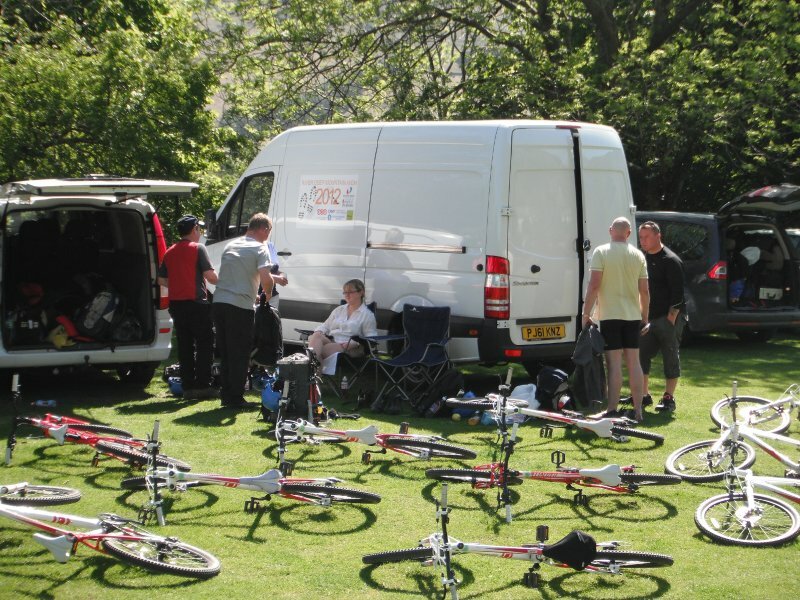 From Ambleside we cycle into the Langdale valley, the gateway to the mountains, where we will again be met by our support vehicle. 12k, 1 hour approx. 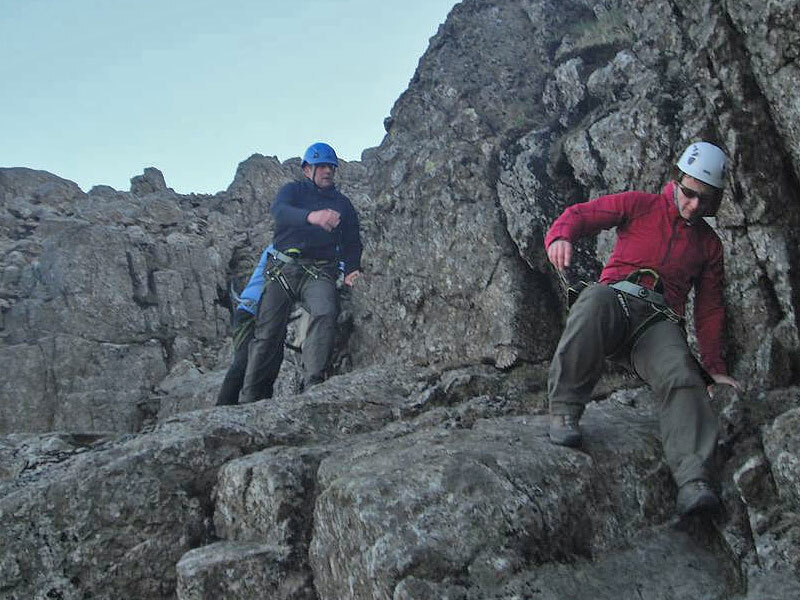 We now head into the central fells, home to England’s highest and most spectacular mountains, we summit Scafell Pike, England’s biggest mountain and descend into Borrowdale just as it begins to get dark where we are again met by the support vehicle. This completes the mountaineering section of the challenge which is 17 k, 9 hours. We now cycle North along the Borrowdale valley until we reach the shores of Derwent Water. We arrive in the dark usually around midnight and set off on the final leg of the challenge by torchlight. 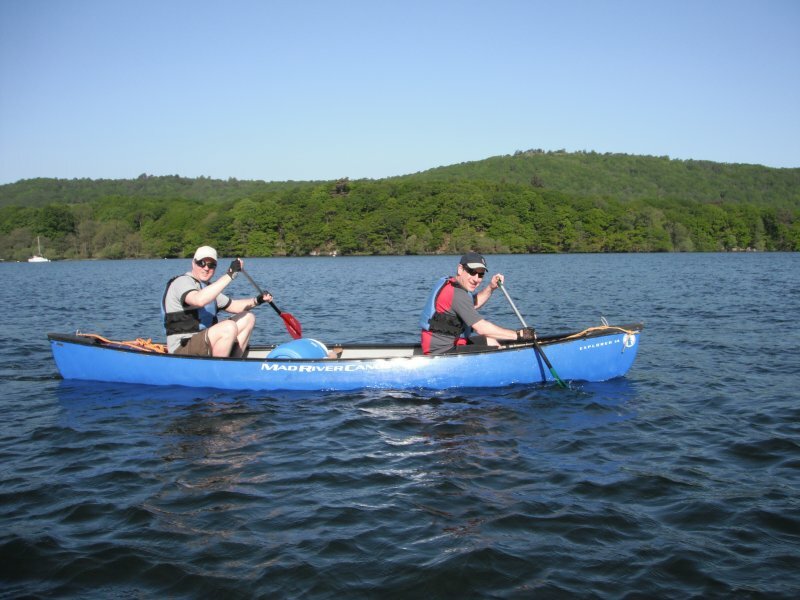 We canoe Derwent Water South to North until we reach the Middle Derwent River which takes us to Bassenthwaite Lake, and then paddle on to the Northern end of the lake at the Northerly extent of the national park where the challenge is complete as the sun rises on Sunday morning. 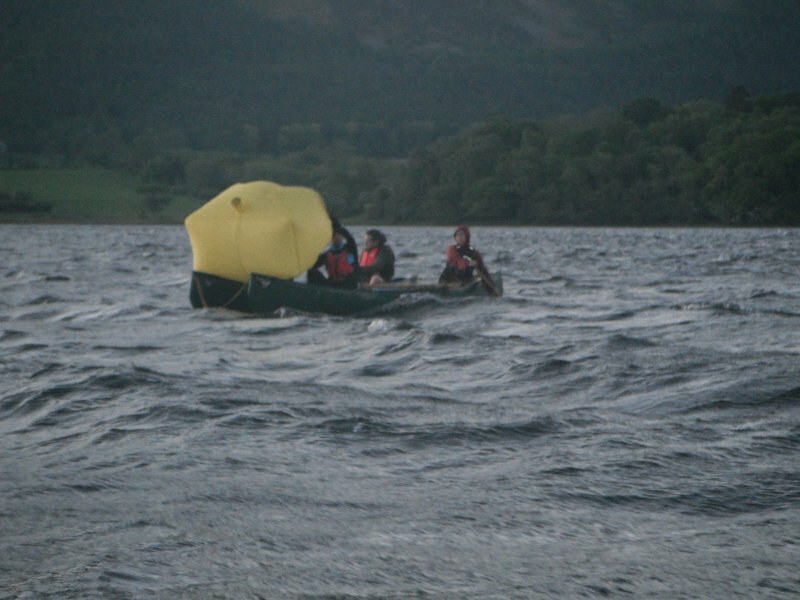 Finishing at the Northern end of Bassenthwaite Lake entail’s 32 k paddling, 21 k cycling and 17 k walking. 70 k total travelled. Time to complete, under 24 hours!. From here we transport you back to Keswick for Sunday morning. £3950 + VAT per team of up to 15. 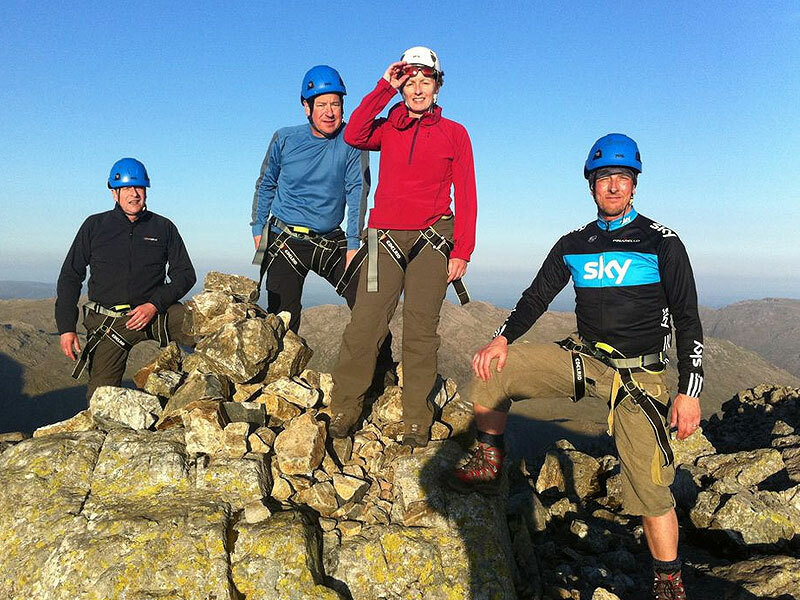 Attempt to summit Scotland’s and in fact the UK’s biggest mountain Ben Nevis and then canoe the length of Scotland’s largest Loch, Loch Ness. Typically we collect from Glasgow airport or train station 12-1pm Saturday. 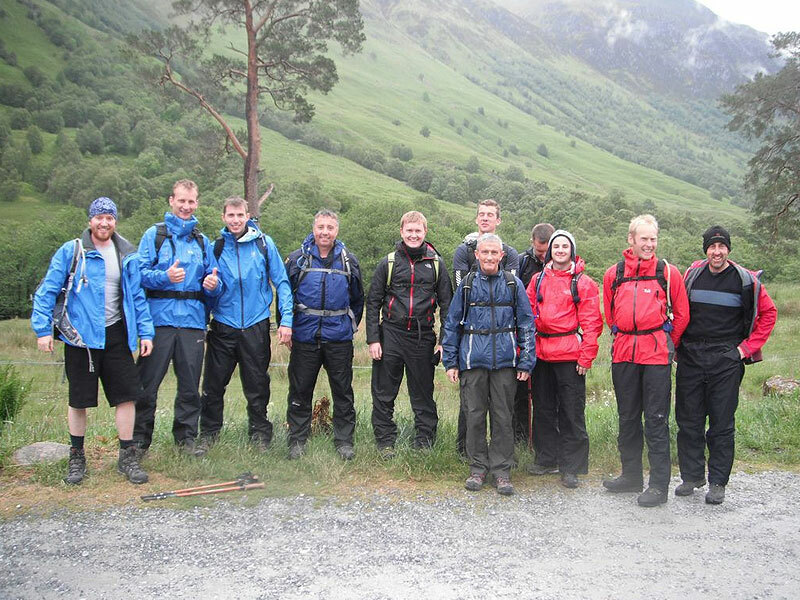 Arriving in Fort William at around 3 pm we then stop off at the supermarket to buy food needed for the challenge. Starting Ben Nevis at 4 pm means with an ascent and descent time of 5-6 hours total we are back in the valley before dark. The drive to Loch Ness is 40 minutes and we usually arrive between 10 pm and midnight. There are 3 options for the Loch Ness section. 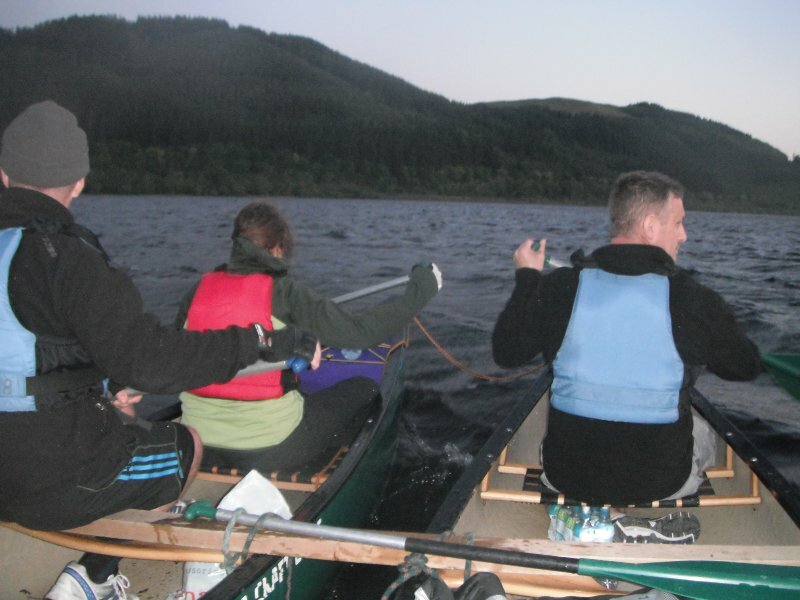 Make camp on arrival at the loch and begin the paddling early morning Sunday. Do a couple of hours of paddling and then make camp on the shores of loch Ness. 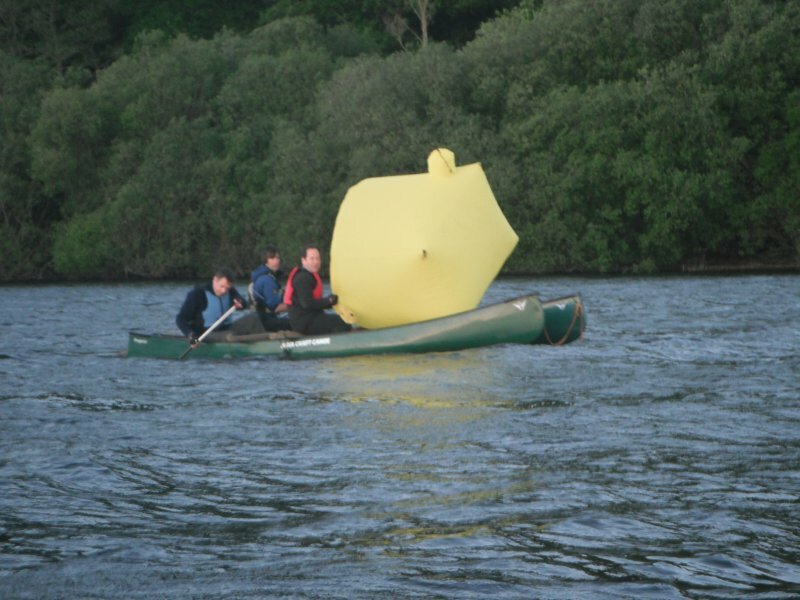 We would then set off again the next morning to complete the paddle. 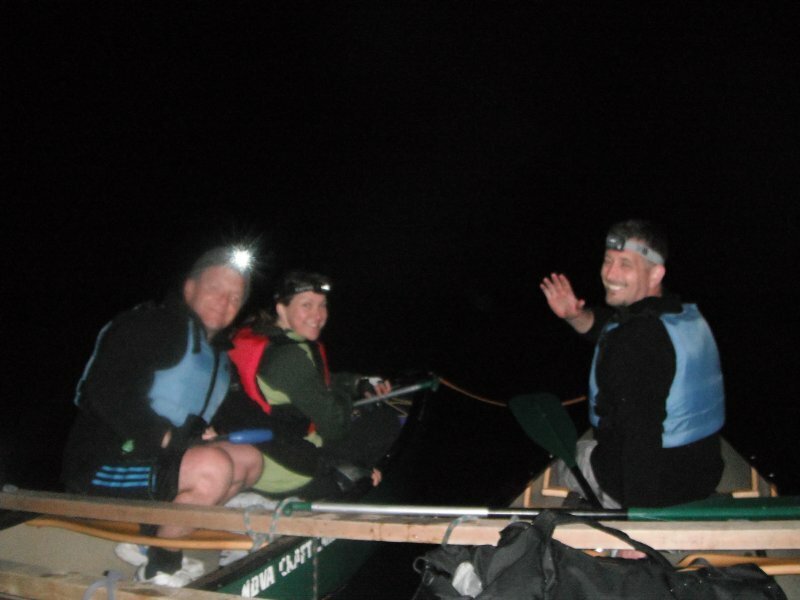 Or we can continue to paddle through the night if weather conditions are calm in an attempt to complete in as fast a time as possible. It is around 3.5 hours back to Glasgow airport or train station from Loch Ness and we aim to have you there between lunchtime Sunday and early evening Sunday night depending on which option we have tried to complete, and how kind the weather has been. £3700 + VAT per team of up to 12.